Valet Parking available Wednesday-Saturday evenings.Please do not park in the TD Bank lot. Showers, Bar/Bat Mitzvahs, Christenings, Corporate Events, Luncheons and semi-private dinners available. Full service catering and delivery available. 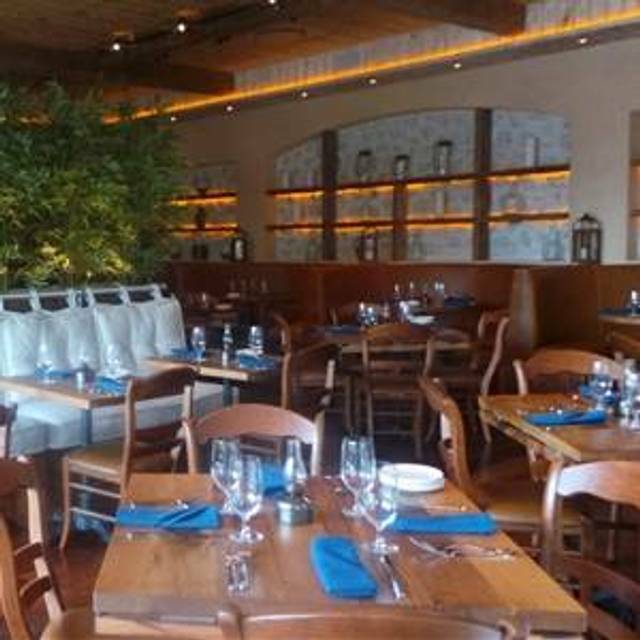 The stunning restaurant, which is the first of its kind in Radnor, will transport guests to the Greek Islands with an atmosphere reminiscent of an inviting Mediterranean home, and a menu of authentic specialties, simply prepared, that represent the best of Greek cuisine. 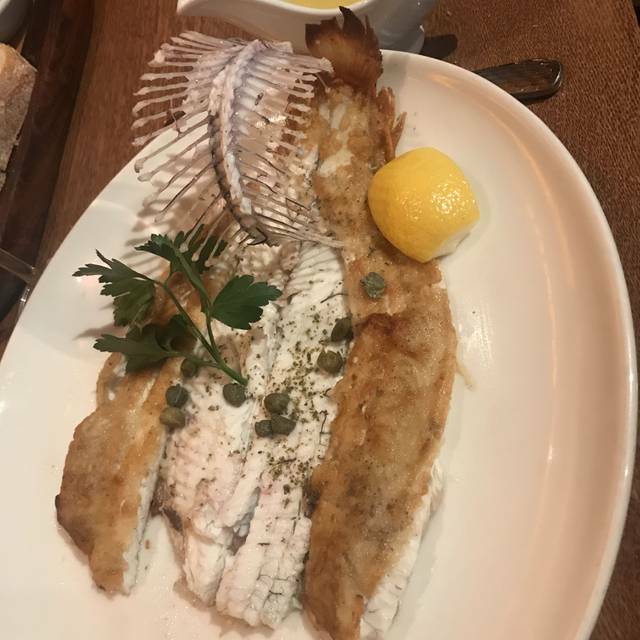 The restaurant specializes in whole grilled fish, which are flown in from the Greek islands, the shores of Morocco, Tunisia and Portugal, and procured from independent North American fishermen. We have created a welcoming restaurant designed with the comforts of a typical Greek home. We used materials such as hand-chiseled Jerusalem limestone floors, hand woven rugs, vaulted ceilings, antiqued stucco walls, wood plank floors and exposed wood beams to evoke the traditional atmosphere. A series of dining areas feature rustic farm tables, dark wood chairs with beige cushions and dining nooks with upholstered banquettes. The homelike ambiance is accentuated with whitewashed walls. Happy Hour - At the Bar and Hightops, Monday-Friday, 4:30 p.m. – 6:30 p.m.
Offering our a la menu all day. Happy Mother's Day! Was with a group for lunch and was very short on time. Our server got us in and out in record time. We each ordered different meals and all 4 dishes were AMAZING! Food was excellent!! I will be back! Great lamb chops, probably the best in philly. Grilled shrimp app and Greek salad were also excellent. Our server was from Greece and he was highly attentive and fun. Great evening. Highly recommend! We enjoyed the food very much and will definitely return. Great food and service like always! Very professional and personal experience, once again! Our waiter was excellent. Great meal. Excellent food, fresh and delicious. Service was outstanding. We highly recommend this place for a wonderful dinner out!! I always love the food and ambiance here, but we were kept waiting for some time before our order was taken. At the end of the meal, we miscalculated the tip (forgot to add on taxes) as we were splitting the bill three ways. It was an honest mistake on our part despite 2 rounds of calculations, but our server did not deal with it particularly nicely, on top of the fact that the service had not been stellar to begin with. So all in all a nice evening but with a bit of a sour aftertaste. Food delicious-atmosphere ok—crowded & tables too close together- noisy- service ok - waiter nice & explained menu - they forgot my dessert -brought it after I flagged the waiter. Always a pleasure to eat here. It would be nice if they added a few more entrée selections. A very nice lunch with a friend. The food was fresh and delicious but pricey for a shared salad and two apps (no cocktails or dessert) $34 each. The service was awful . Never experienced service that bad. The food was exceptional as usual and the GM, Gina made us feel at home. Thank you for your consistently outstanding service and quality of food. 3 of us shared the Black Sea bass. 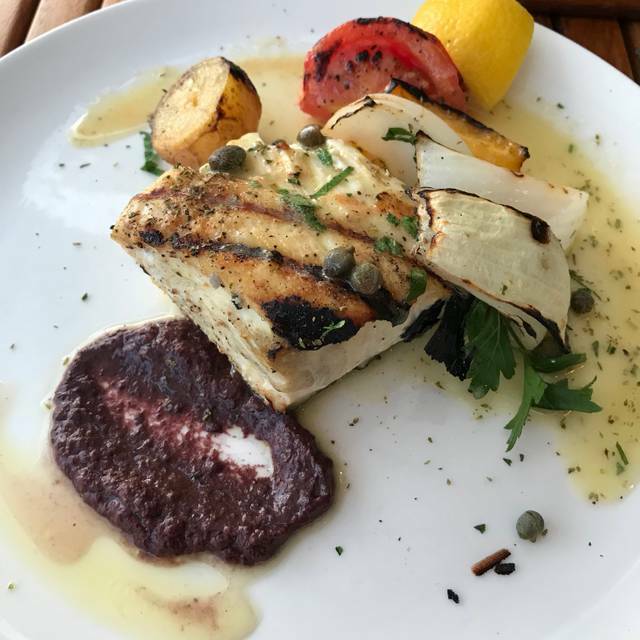 We love Black Sea bass , have had it multiple times in other locations. 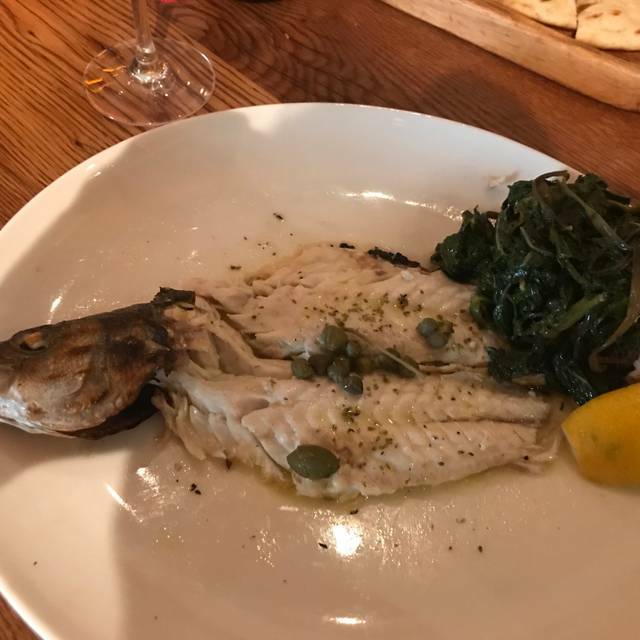 The fish at Estia was bad......too fishy tasting. Great experience again, for our family visiting the area. We love the foods and space of Estia. Bad waiter, he seemed more concerned and distracted by a table of ladies than serving my wife and I. It was not busy there on a a Friday night. He was not very attentive. He took 15 mins to bring dessert and I had to waive him down for the check which took him 15 mins to bring it to us. Quick dinner took two hours, and I had to complain to the manager. Not sure if it is worth it. 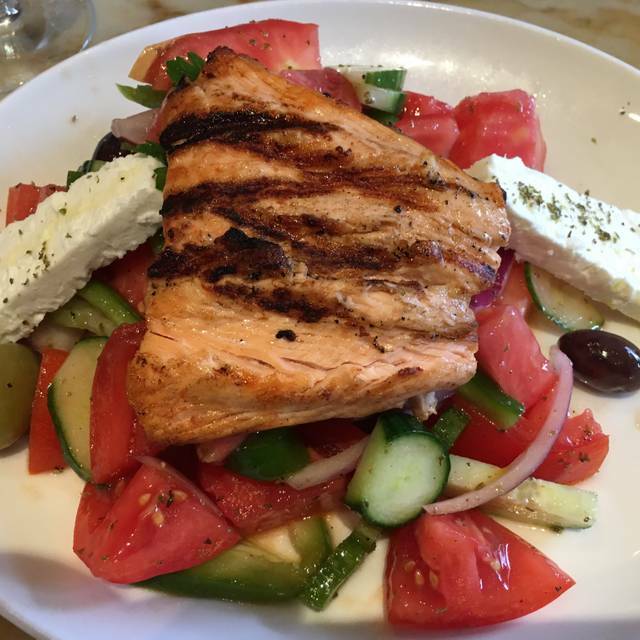 Estia's a fine choice for lunch! The $19 special offers enough to meet our needs, with an excellent grilled "fish of the day" and a tasty (if a bit small) Greek salad. Along with the only rosé on the bottle list (which was fortunately very good), we enjoyed a leisurely and luxurious midday meal served by a knowledgeable, attentive and delightful staff in a bright and beautiful room. The service was poor. We could not get refills on water. We had to ask for pepper and then the big grinder was plopped down on our table. Our water was not attentive at all and only seemed interesting in us ordering the most expensive item on the menu. Very disappointing. Food was good but wayyyy over priced. For $36 I don’t think I even received more than 4oz of Tuna. Side of asparagus for $11 and again there were 8 strands on the plate. Won’t come back unless it is a client request. Not a bad item on the menus and a huge selection. Staff is polite and friendly. 60th Birthday celebration... fantastic night!!! Everything was so delicious and the service was superb!!! We went to Estia for our first time to celebrate a birthday. The food was incredible, unique, and all seemed very fresh, the service was wonderful, attentive, and informative, and the ambiance was great as well. While a little noisy, the sound was certainly nothing horrible. Our whole family believed that Estia was well worth the value and we would recommend it highly. I was kind of disappointed with our dinner. We have been to Estia before, but for Lunch. Then you at least can get some Greek inspired food. Not so much in the evening. Some flavors, but not really. And besides that the food is quite expensive, the portions are huge. Maybe less and a bit less expensive would be a better route. Don't think I will come back for dinner. 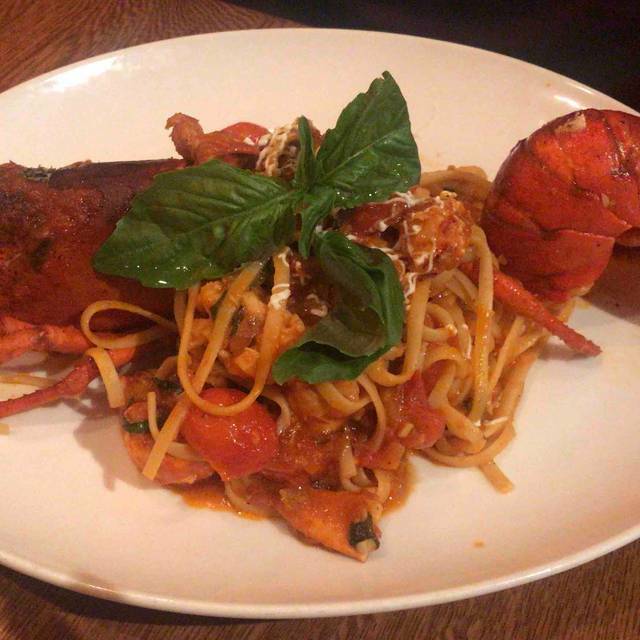 Fabulous food, unique experience, definitely a keeper. Soo many good options on the menu, it was hard to chose but everything was delicious (we got the octopus appetizer, lamb shank, grilled whole fish, asparagus, and baklava). We were celebrating an anniversary and the waiter brought over complimentary Prosecco along with our dessert. Will definitely go back to try more items from the menu. Great service and beautiful space. Took family for mom's 90th birthday. Called in advance for right table and set up. Restaurant was totally accommodating and understanding. Service was excellent--thank you Eisa! Wonderful evening, thanks all at Estia! Food was great as usual, but pacing of meal was too fast. Main course came within five minutes of starters and salad. Waiter was polite but not in tune with our comments. We mentioned both in reservation and in person that it was my birthday and we were told there was a birthday dessert, which we didn’t get. Also unclear as to why we did not earn open table points for this reservation. First time dining at Radnor location. The manager was very sweet in accommodating us from the moment we arrived. Service was exceptional and professional. Our server knew the menu very well and went into detail about the preparation of their signature octopus. The manager also cheerfully stopped by our table to check on us. It is beautiful inside also despite the high noise level. 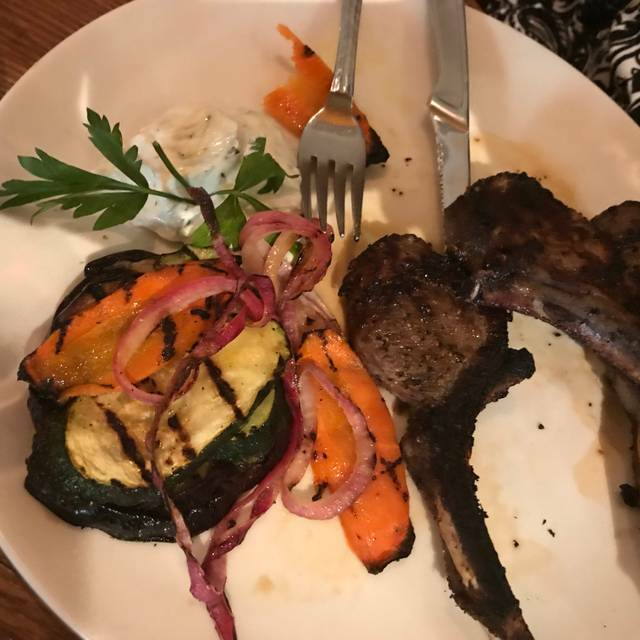 Lamb chops also incredible!! This is my new favorite Estia! 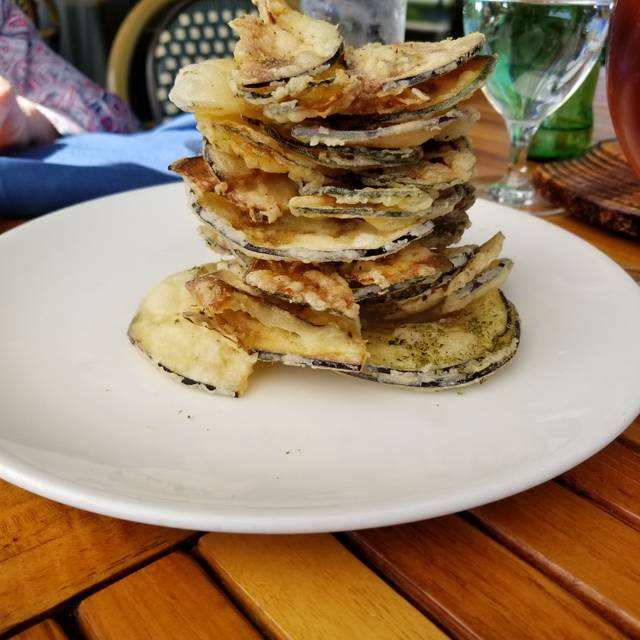 We've enjoyed a few lunches at Estia, but this was my first dinner and it did not disappoint. Our group of five enjoyed many delicious appetizers. We shared lamb meatballs, octopus, calamari, and zucchini chips. 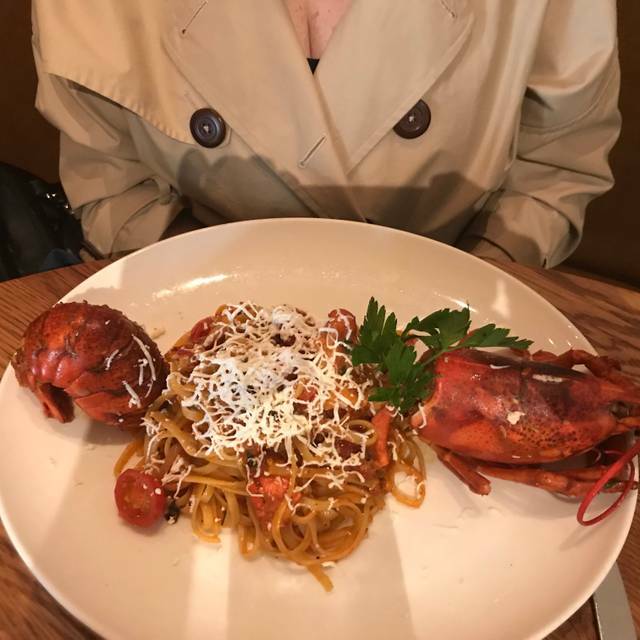 Four of us ordered fish (their specialty) and one had the lobster pasta. Everyone was quite satisfied with their selection. We were too full for dessert but happily shared the cookies presented to our birthday guest. The service was topnotch for the entire two hours. I can't say enough good things about Estia. It's the perfect special occasion restaurant. fresh food,excellent service. love this place.will always return.